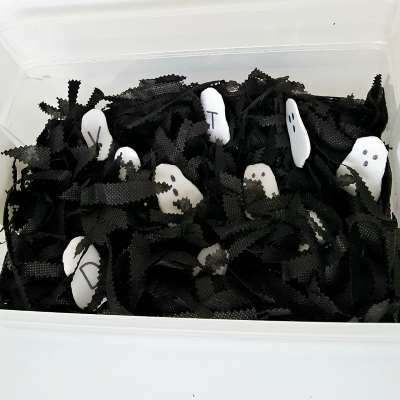 We are loving these toddler Halloween sensory bins this year. 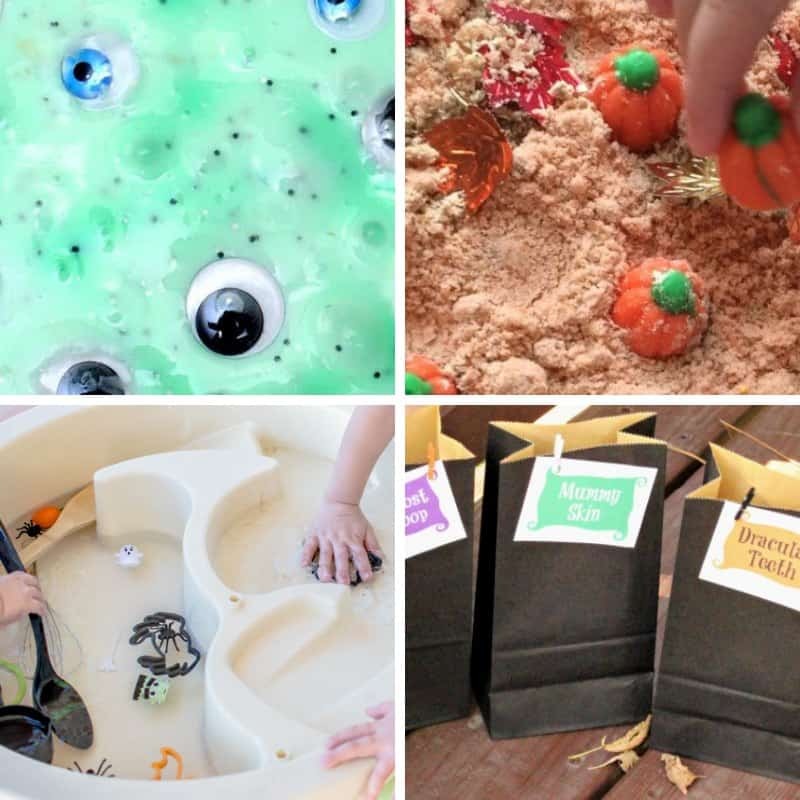 While sensory play and sensory bins are always lots of fun, Halloween makes it even better! 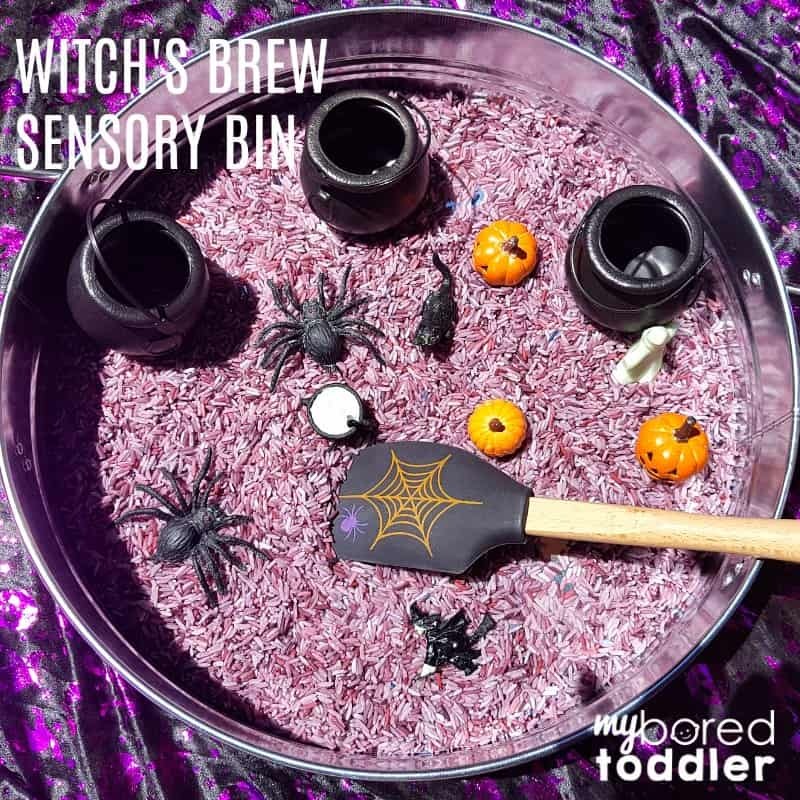 Sensory bins are just perfect for Halloween! 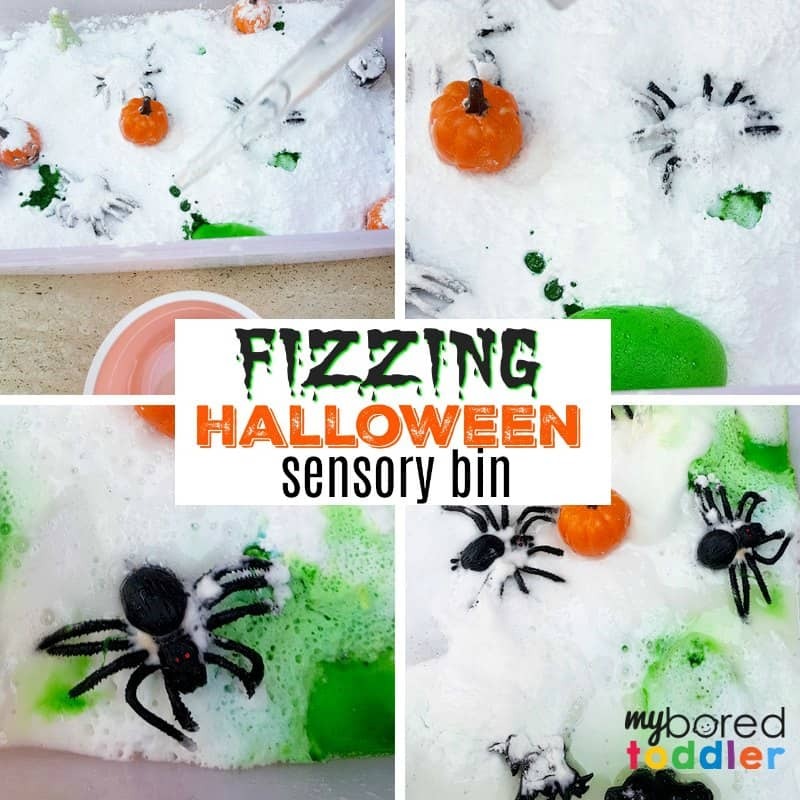 Lots of slimy, squishy, sensory fun! 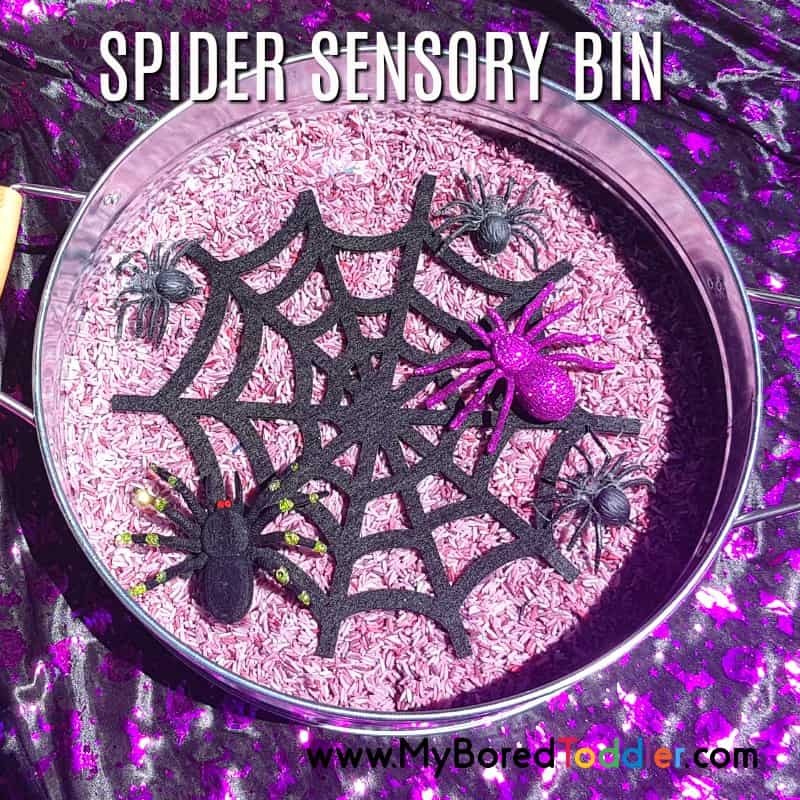 These sensory bins have been very popular on our site this year so we thought we would round them all up in one place for you. 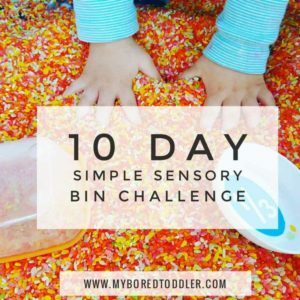 When you set up a sensory bin remember that with most of these you can put a lid on them and pull them out another day. 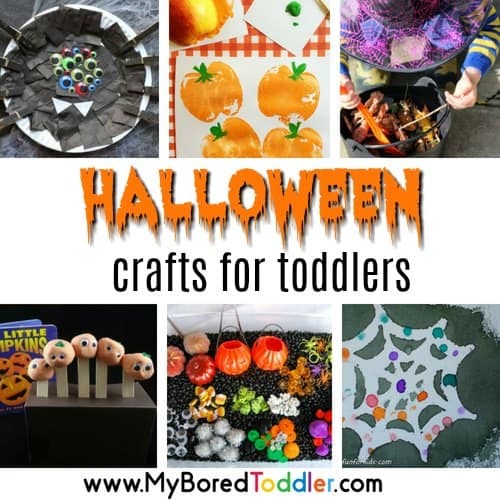 Leave a few days between activities (mix up the play with these Halloween crafts) and they’ll feel like it’s a brand new activity when you pull it back out. 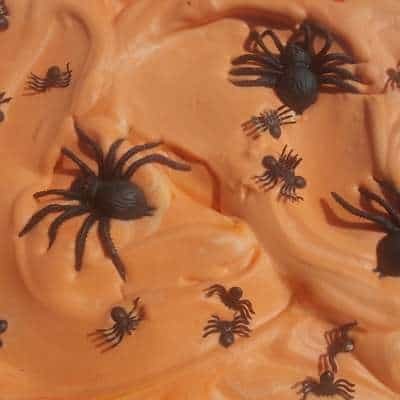 We’ve searched around some fantastic blogs (so that you don’t have to!) 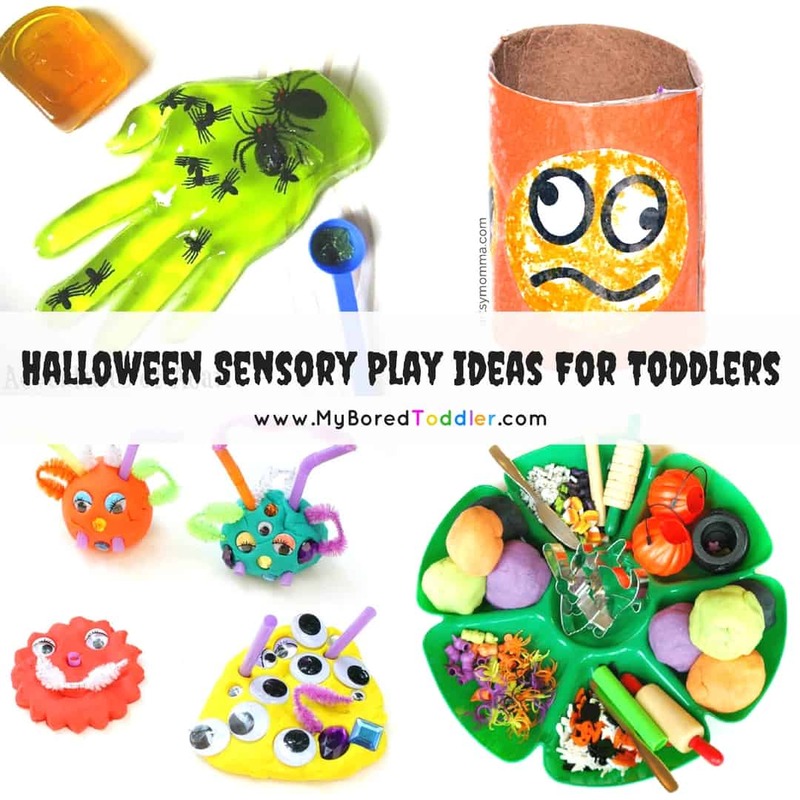 to find you even more great Halloween sensory bins that are just perfect for the toddler age group. 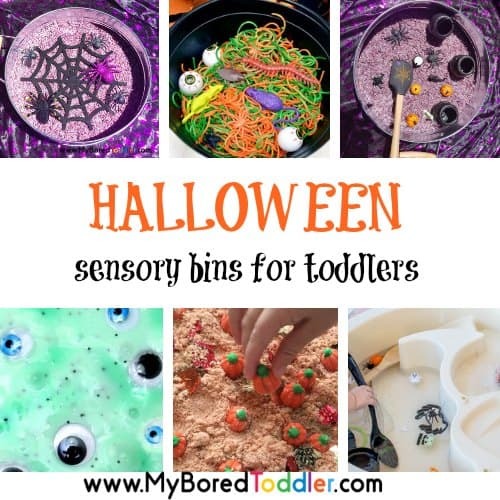 If you’re looking for more general sensory bins for toddlers you’ll love our huge sensory bin collection HERE. 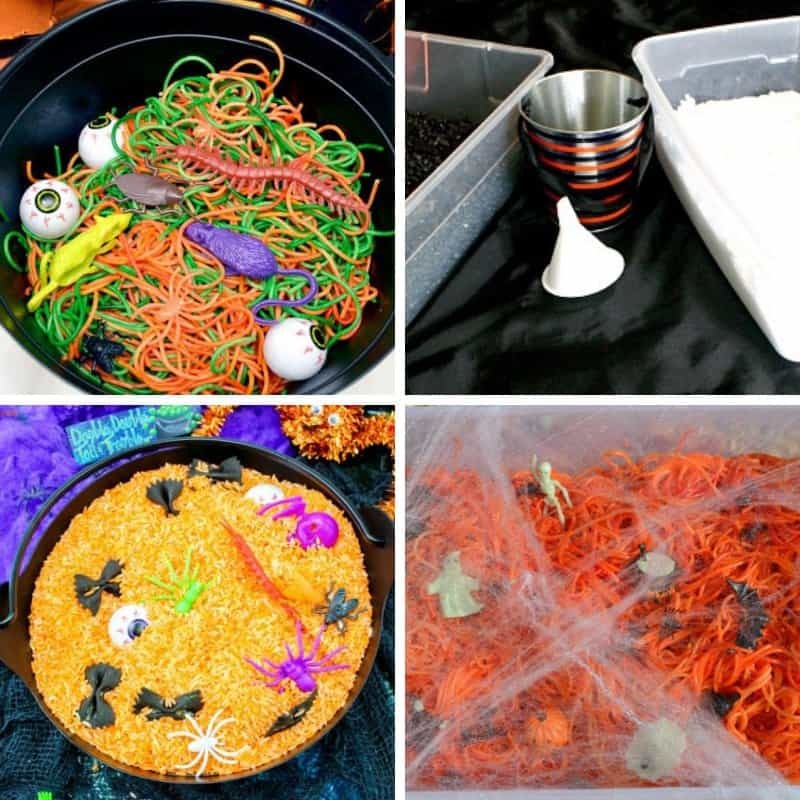 I hope your toddler enjoys getting messy with these fun Halloween sensory bins. 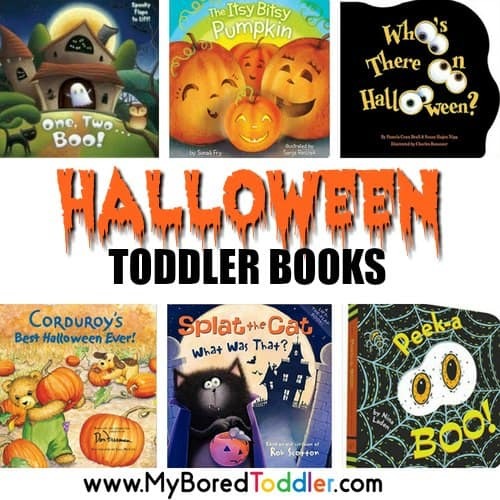 We would love to see some photos of your activity – share them in our Facebook group or on Instagram (tag @myboredtoddler and use #MyBoredToddler so we can see – I’ll share some of my favorites).